When you have wiping jobs where precision and reliability are essential, you can trust Kimtech Prep Scottpure Wipers. They are up to the task! These critical task wipers are engineered for excellent absorbency and low-lint wiping. 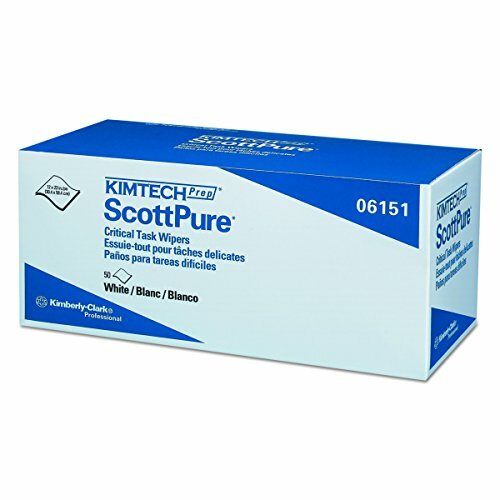 Kimtech Prep Scotpure Wipers have low extractables (no binders or surfactants) and designed to work well with solvents (acid-, base- and solvent-resistant ). They are made of low lint 100% rayon / polyester material (called spunlace) for cloth-like softness. These critical task wipes are popular for applications including clean manufacturing areas, printing and much more.